One week later I can still feel the presence of my new friendships with like-minded souls. I was blessed enough to have met positive, spiritually minded, fun and health conscious women that I will consider my friends forever. When people say Colorado is God’s Country it is no stretch. The Universe was definitely showing off for us. Bluebird skies, migrating Elk, long winding creeks and a snowfall in the morning that looked like glitter falling from the sky. To spoil us even more we were lucky enough to have emily Hightower from Onanda Yoga treat us to organic tasty meals. Oatmeal, waffles with fruit and Chiliques warmed us up in the mornings before we headed out to take on the day. Lunchtime filled us up with wraps, cheeses, healthy bars and nuts. We even teamed up and created pizzas made from all the colors of the Chakras. As if the food didn’t spoil us enough, Emily led us in yoga sessions aimed at stretching out sore muscles in the mornings and guiding us into relaxing and centering ourselves into the evening- I even experienced a breath work session that I found profoundly moving. Kendra Starr with her beautiful smile and healing acupuncture spent time with us educating us about imbalances and how to realign our bodies after our cancer treatments that threw our bodies out of whack. After a session with her I felt centered, energized and very present. Megs Porcheron shared her own cancer battle with us and encouraged us to open up to all areas of healing and health. No one can forget Blair Young either. She had the huge responsibility of wrangling all of us women up, planning for every tiny detail and making it all look effortless. Her spirit, sense of ease and patience makes it a pleasure to know her. I wish I could be selfish enough to attend the next B4BC retreat, it was that much fun. Instead, in the spirit of all the amazing people who cared enough to come together to create a safe healing place for 8 Survivors , I will pass the recommendations on so others can experience life changing experience. I also will offer my help in anyway as a small way to pay it forward. I wish I could express my true gratitude for the life changing experience I had in the gorgeous mountains of Aspen Colorado. Thank you all. 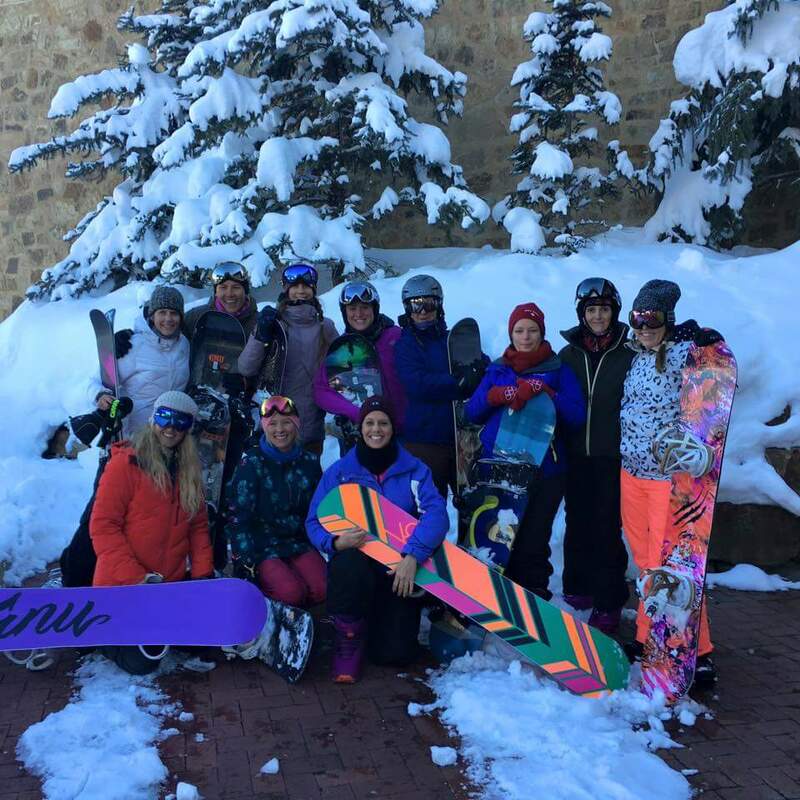 This entry was posted in Mentors & Mentees, WWS News and tagged Breast Cancer, Camp, cancer, Cancer Survivor, Mentor, Snowboarding, Survivor.